The Townhouse achieved the grading after taking part in the national tourism organisation’s Quality Assurance Scheme which recognises businesses that meet and exceed the high standards expected by guests. Situated overlooking the South Inch Park, The Townhouse offers 2 deluxe park view rooms, 2 large traditional rooms and 1 king deluxe single room which all have traditional and antique furnishing, with modern amenities and luxury bathroom fittings. Only minutes away from the city centre and with bus and train stations nearby, The Townhouse makes a great place for guests to explore the city of Perth or for a prolonged stay with a visit to the surrounding countryside and highlands. 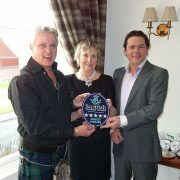 “I would like to congratulate David and Laurent on their 5 star award and for being the first 5 star B&B in Perth to achieve this. Not only is this a big achievement for the Townhouse, but also for the city itself. 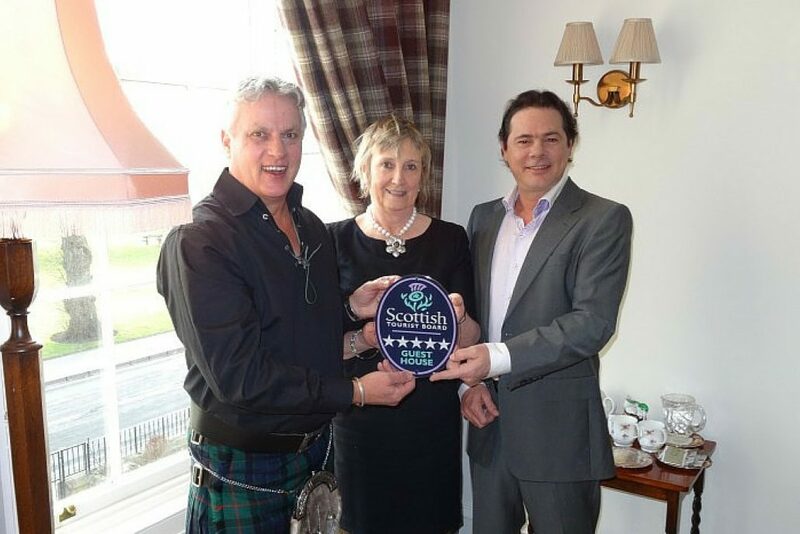 Situated in the heart of Scotland, Perth is a fantastic place to visit and having a five star B&B will hopefully encourage new visitors to come and explore the region.